Canadian writing was once thought too boring to bother about. But things have changed, with Canadian books winning international awards. According to Nick Mount of the University of Toronto, a big factor behind the boom in Canadian publishing in the latter half of the 20th century was the economy. This interview with Nick Mount was originally broadcast in 2017. Click 'listen' above to enjoy the clip. The literary pantheon in Canada is replete with shooting stars and eccentric luminaries who created and fuelled what we now call CanLit: a novelist whose dystopic fiction inspired Hollywood movies, plays, even an opera; a poet who became one of the world's greatest singer-songwriters; a world-renowned crime writer who sets her stories in rural Quebec; and a Nobel laureate. That's all a bit ironic, since we are a country whose writers were once considered too boring to bother about. But we've always had our fair share of characters, even if they laboured in relative obscurity. Take Milton Acorn, the depressive poet from Charlottetown, a WWII vet with a metal plate in his head and unquenchable thirst for booze. Or Quebec City's Marie Claire Blais, who wrote of monsters so dark her mother burned one of her short stories. Or Al Purdy, who grew up next to a tombstone business in Trenton, Ontario and failed Grade 9. If today's writing superstars had been born in another era, their work might never have been seen. 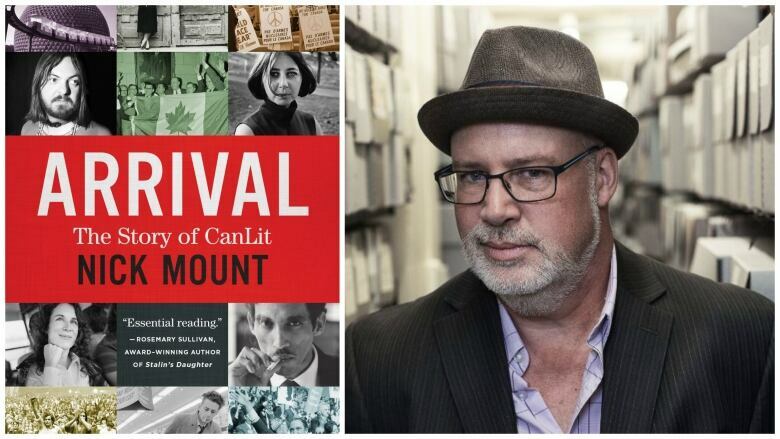 But in the 1950's some kind of alchemy changed things, and CanLit was born and began to thrive. All of this is the subject of a new book by University of Toronto literature professor, Nick Mount. Arrival: the Story of CanLit chronicles the boom that took place in Canadian publishing in the latter half of the 20th-century, setting it into a national and international context. Nick Mount has been called a "rock star professor" by his students, and he's the recipient of many accolades, including the 3M National Teaching Fellowship, one of Canada's highest teaching awards. He is the former fiction editor of The Walrus. And in 2005 he won the Gabrielle Roy Prize for the best book of Canadian literary criticism for When Canadian Literature Moved to New York. Nick Mount wrote Arrival, he says, for a simple reason: because it didn't exist. "I loved that boy, he was just like one of my own." Think Again — So... why do we start sentences with the word "so"?